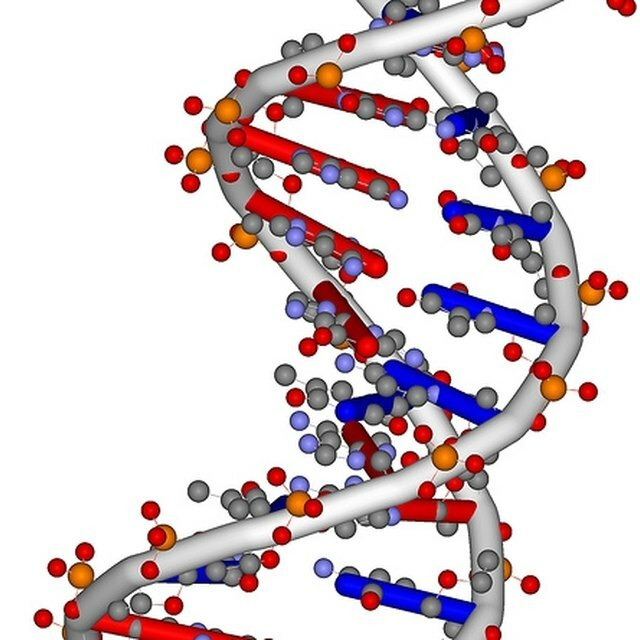 DNA stands for "deoxyribonucleic acid." RNA stands for "ribonucleic acid." DNA contains the blueprints for biological structure and physiological operation -- it's where genetic information is stored. 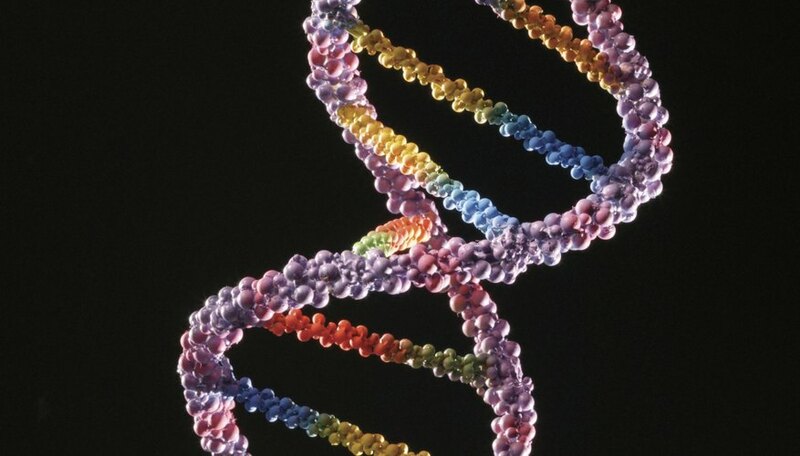 RNA contains code for the manufacture of specific proteins within cells. Every virus contains a nucleic acid: some have DNA, and others have only RNA. Some viruses contain DNA (deoxyribonucleic acid) while some viruses have RNA (ribonucleic acid). All living things have DNA, but technically speaking, viruses aren't living things because they can't maintain themselves or reproduce on their own. They also aren't technically cells because virus structure doesn't have organelles -- cellular machinery -- of their own. They don't fit into any of the kingdoms of life -- they aren't plants, animals, fungi, protists, bacteria or archaea -- but there are types of virus that infect every one of these life forms. Viruses exist only as infectious agents. They're made up of a nucleic acid -- either DNA or RNA -- surrounded by a protein capsule. They only become active after entering a host cell. DNA viruses have deoxyribonucleic acid. They invade the cells of host organisms and use the host cells' machinery to create more viral capsules. They also use the host cells' energy to "feed" themselves. DNA viruses essentially turn host cells into virus factories. These host cells fill with newly manufactured viral packets and then release them, usually by bursting, to infect other cells. DNA viral infections -- such as colds and flus -- are usually highly communicable because they spread by broadcasting new viral packets into the environment. RNA viruses have RNA for their nucleic acid. They do all of the things DNA viruses do and more. They're also called retroviruses because they operate "backwards" from the way cells and DNA viruses do. Cells and DNA viruses have DNA, which they use to make RNA. RNA viruses have RNA and use it to make DNA. This leads to a truly mind-boggling ability: the DNA these viruses make can become permanently incorporated into the DNA of the host cells, a process called transduction. That means when infected cells reproduce, they automatically carry the viral DNA, and automatically produce new viral packets. Retroviruses are responsible for some very long-term, slowly developing and incurable infections in human beings and animals, including HIV, feline leukemia and FIV. Retroviral infections are typically more difficult to catch than DNA viral infections because they usually require contact between the virally re-engineered host cells and the bloodstream of a new host. Viruses aren't alone in the strange twilight world between life and non-life. They share it with plasmids -- strands of DNA without protein capsules; viroids -- strands of RNA without protein capsules; and prions -- proteins with only a tiny molecule of DNA. All are infectious agents and the roles they've played in the greater picture of life on Earth are incompletely understood. Genetic scientists speculate that viruses and virus-like particles may have influenced the course of evolution repeatedly, from causing mass-extinction events, to creating new genomes through RNA viruses' peculiar powers of transduction. Retroviral transduction has become an important tool for moving DNA from one genome into another in genetic engineering. Libal, Angela. "Does a Virus Have DNA?" Sciencing, https://sciencing.com/virus-dna-4058.html. 06 August 2018.